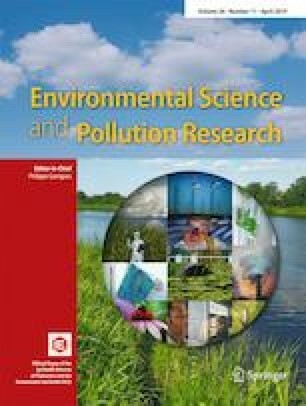 Novel and efficient animal wastewater treatment technologies of bacteria reduction are needed for preventing disease outbreak in animal herds and safeguarding environmental health. Zero-valent iron (ZVI) has been used to treat bacteria contaminated water for the past decades, but its passivation issue has been a major challenge. In this study, batch tests were performed to evaluate the effect of a hybrid zero-valent iron (h-ZVI) or a mixed ZVI/Fe3O4 media system on reduction of Escherichia coli (E. coli) levels. The h-ZVI media was created through a wet chemical process that uses nitrate to oxidize ZVI in the presence of externally added Fe2+ (aq.). Transforming ZVI into a h-ZVI system could overcome the passivation of ZVI and increase the reactivity of the media. The results demonstrated that E. coli cells in the bulk phase were removed rapidly by h-ZVI media. Majority of E. coli was attached (or adsorbed) to the surface of h-ZVI media within a few minutes, which suggested that adsorption was the dominant mechanism for bacterial removal in the initial phase. This adsorption was confirmed by fluorescence microscopy with CTC-DAPI double staining and transmission electron microscopy (TEM). Increasing contact time steadily inactivated E. coli; all cells were inactivated after 120 min of contact. The TEM results indicated that h-ZVI inactivated E. coli by causing direct damage on bacterial cell membrane. The results of this study strongly suggest that h-ZVI treatment can be used in water treatment industry where bacterial contamination is concerned. The online version of this article ( https://doi.org/10.1007/s11356-019-04501-x) contains supplementary material, which is available to authorized users. This research did not receive any specific grant from funding agencies in the public, commercial, or not-for-profit sectors, but was supported by Texas A&M Agrilife and administered by the Department of Bio and Agricultural engineering at Texas A&M University.